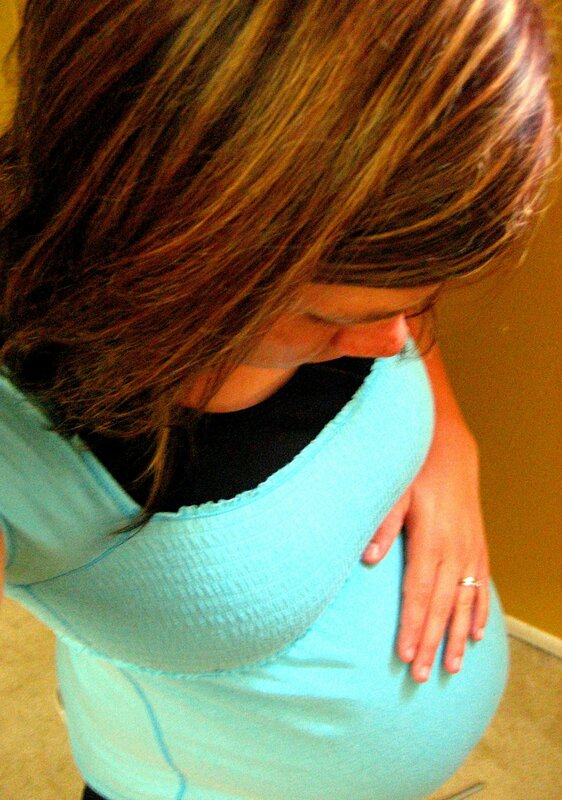 In the very beginning of this pregnancy I was thrilled to stand and have Ted take a photo or to take one myself. Well, as of last week, I now really disliked having my picture taken. Everything is swollen on me and enlarged! I also knew that if I did not take a photo per week, I would regret it. So far throughout this pregnancy we’ve taken at least one shot a week, except last week (36) because I didn’t want it. I regret that now! So here I am. I can’t believe how huge my belly is and how far it’s stretching. At the end of week 36 we started noticing, as our baby drops lower, I have begun to get tiny stretch marks on mostly one side of my tummy! I’ve been saying, “They’re coming, I can feel it!” And here they’ve officially arrived at 37 weeks and only 3ish weeks out. My mom and Ted think they look like veins right now, so we’ll see what they really are! They’re pretty small right now. I think the only one you can really see in this picture is the one on my hip. I really had to think about what part of my body it is, because you can’t tell it’s a hip. Haha! Baby can come any day now. I’m still hoping he/she holds out til next week and Ted and I both think the baby is going to wait to come til the last second. Exciting times though!! This is by far the HARDEST stretch and have been the longest weeks. Well, since last week. The final part; waiting til our sweet Baby E/C arrives! Welcome Baby #4 of 5.
you can do it!!!! just a little more.